Kevin M. Murphy is a lifelong resident of Sarasota, Florida and attended Florida State University in Tallahassee, Florida, graduating in 1993. He then went on to receive his Juris Doctorate degree from Nova Southeastern University, where he was a member of Phi Delta Phi, National Legal Honor Fraternity and received the high grade award for Advanced Criminal Practice and Procedure. After being admitted to The Florida Bar in 1998, Mr. Murphy served as a prosecutor for the Sarasota County State Attorney's Office where he prosecuted numerous jury trials from Voir Dire to Jury Verdict. In 2000, Mr. Murphy left the State Attorney's Office and went into private practice. Since becoming a member of the private sector, Mr. Murphy has dedicated his insurance defense practice on Trucking/Transportation Defense. He is a member of TIDA (Trucking Industry Defense Association) and has tried numerous truck accident cases to jury verdict in jurisdictions throughout the State of Florida. As a member of TIDA, Mr. Murphy has a first response team in place which includes outside adjusters and accident reconstruction experts who are available 24/7 and who, along with Mr. Murphy are able to quickly get to an accident scene to investigate and assess potential liability for clients. He is also admitted to the U.S. Federal Court of the Middle District of Florida. In addition to insurance defense, Mr. Murphy practices criminal defense/traffic defense and has defended numerous individuals with charges from misdemeanors to felonies. Mr. Murphy is a member of the Sarasota County Bar Association, Florida Defense Lawyers Association and is a past chair of the Grievance Committee for Sarasota County for the Florida Bar. 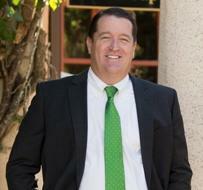 Mr. Murphy is active in the legal community and has regularly volunteered his time since the beginning of his career.